Well, what can I say, I had no idea what this place looked like, other than a few internet pics, but Jenn and I loaded up our Van and headed off to Pismo Beach, as that is where we would hook up our Van in the RV park, pull out our Triumphs and ride to Santa Margarita ranch, where they are holding the RPM Nationals. 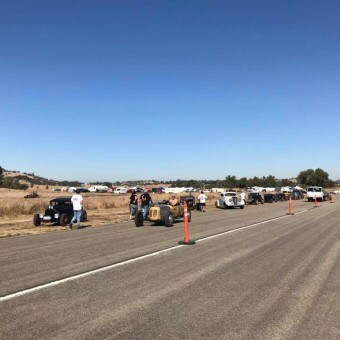 Now this was going to be a place I had hoped to drive my 1928 Model A Roadster to, but it has so many teething issues, it just would not of made the trip, so this year I wanted to at least attend and support this great Nostalgic Drag race event. 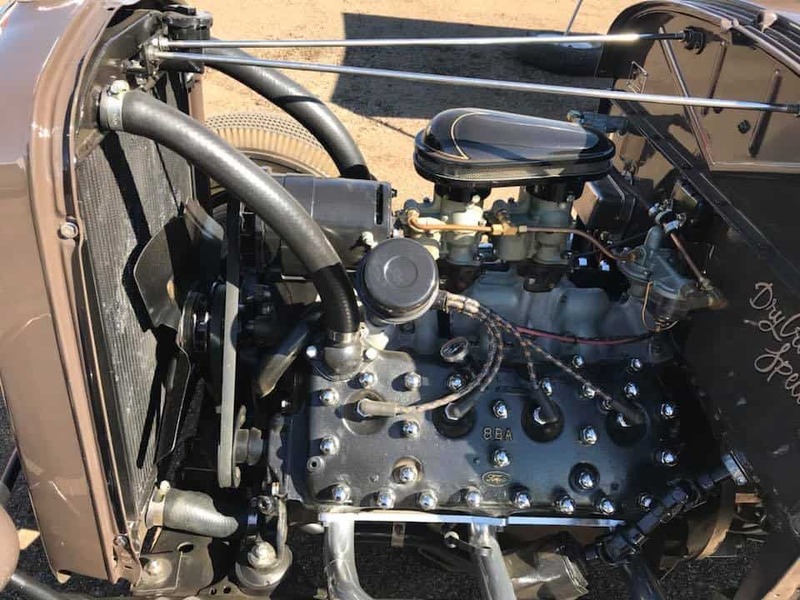 Originally used for the Four Banger Fords, they thought they would extend this out to the flatheads and boy am I glad that they did, as what a joyous sound. 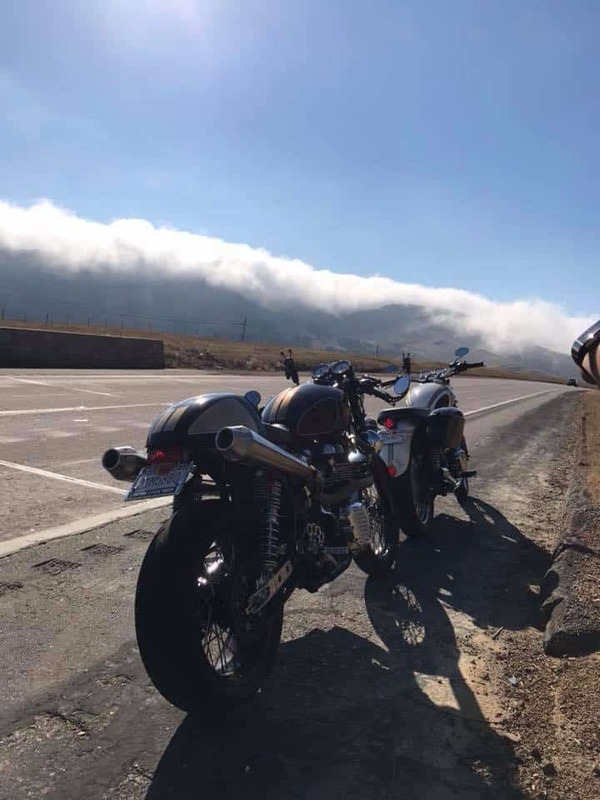 So, after 3 and half hours, we pulled up to Pismo Beach and plugged the Coffee Maker in and had a Brew, unloaded bikes and whilst I was amazed how foggy it was, it did not deter us in the least. 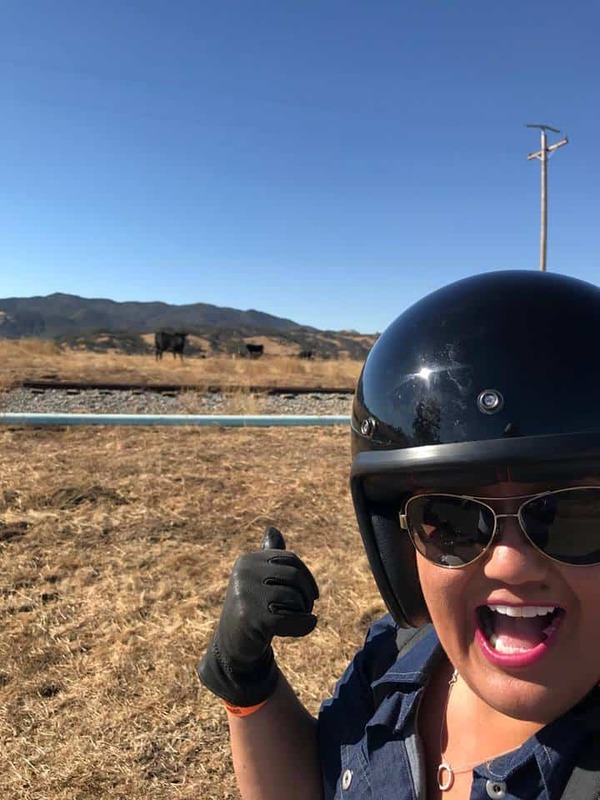 To be honest, it reminded me of home and I wanted Jennifer to experience some colder riding conditions and we got some big time, the Fog was indeed Pea soup, Thicker than Anderson’s Soup thats just down the road from Pismo. 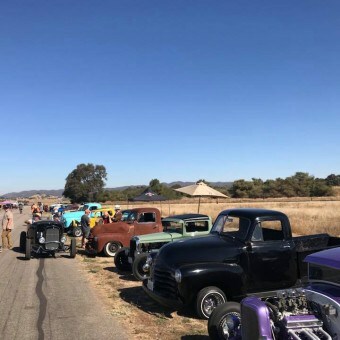 But I had a Fog light and we were all set to go first thing in the morning, sure enough, the Mist rolled in and stayed longer than a relative you dont like. 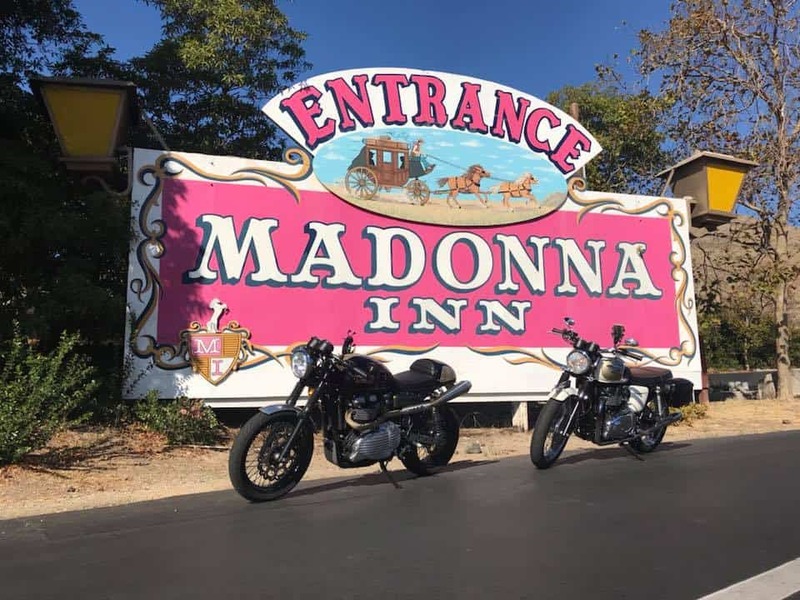 We jumped onto our steeds and rode to the Madonna Inn and had brekky, great place and so much history, if you get a chance, pop in as they have so many cool things to see, from hand carved doors and ceilings in wood, to Themed rooms from a Stage Coach room to a Rock room, all very cool not cheap but what an experience. 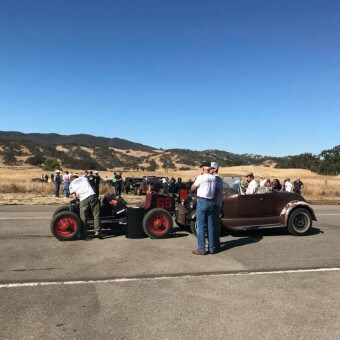 So after having breakfast, blocking their crapper, we hastily headed North to Rancho Santa Margarita Ranch, we rode though the fog and then after a few miles the Sun was out, the roads were smooth and a smile on both our faces as we cruised around 75 MPH with open faced skid lids, what a great day already I muttered to myself. Before too long we had gotten off the main road and into a few country roads, with Trees changing color as Autumn took an abrupt hold over this way, we cruised into the start of this Great Big Ranch, that was out of some Bonanza Episode, well it looked like it to me. Cattle grids, Bridges, Old rail Road Lines were all over this place, we slowed right down along the road on the Ranch as there was a herd of Cows just sat by a tree and across the old rail Road lines, fearing we would get stampeded on, we rode past as quiet as could be, hard to do on 2 Triumphs though but we got passed and to our surprise, they just stayed their grazing, as if we were not even there. 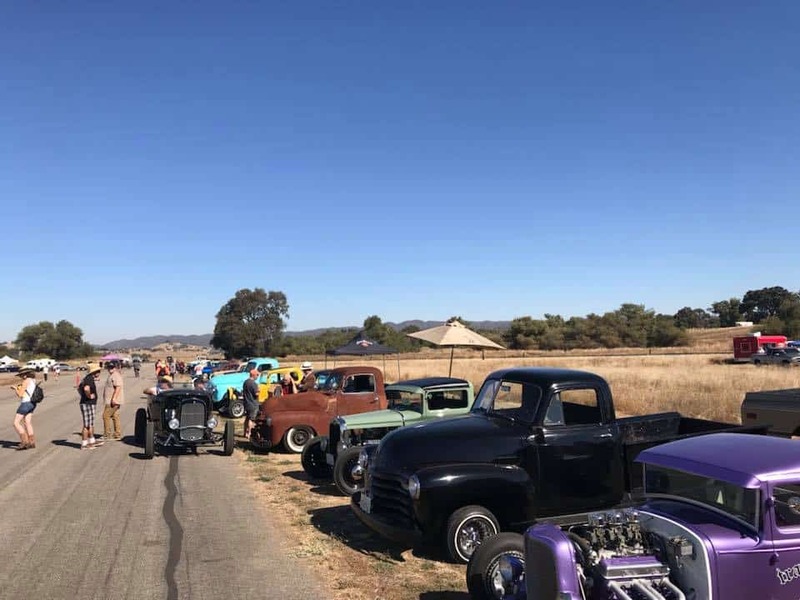 We pulled up at the Parking area and I could smell that wonderful internal Combustion engine aroma, then I could hear some Flatheads revving then letting go of the clutch and banging on down the Drag strip that was laid out. 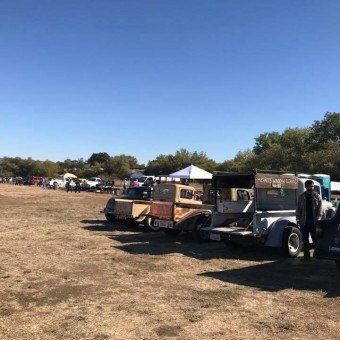 There were vendors along one side of the track and on the other was the swap meet, what cool stuff to see. Here are a few pictures I took with my Iphone, I did take more with my SLR but will blog that another day. 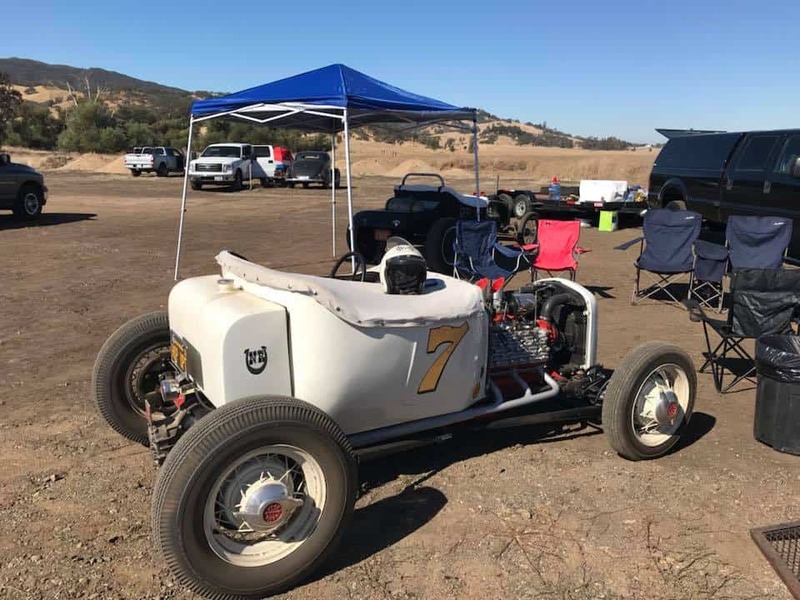 Some very cool stuff to look at, what an awesome event and was stoked that I attended the RPM Nationals, looks like it will be the start of bigger things to come. 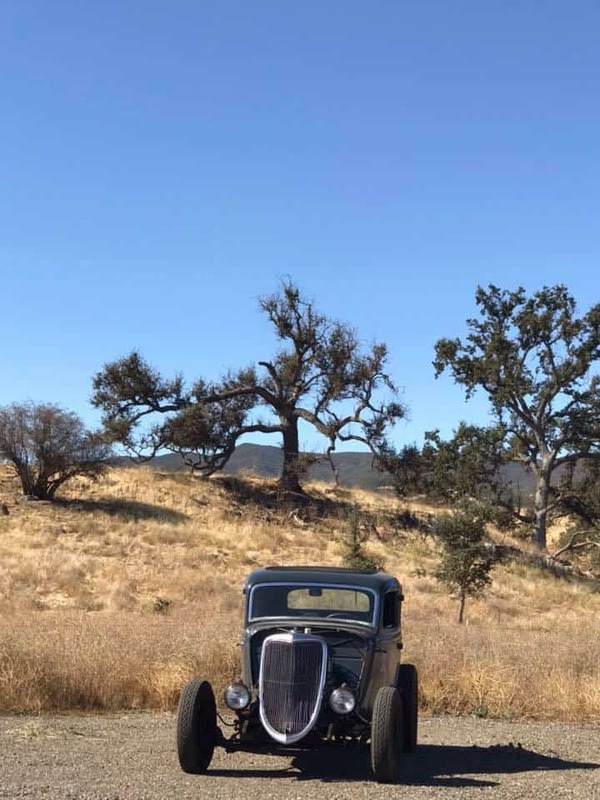 I sure wanted to bring My 28 Roadster- but it was not running right and its a 4 hour drive but next year I hope to make it. An assortment of cool rides to look at whilst in between rounds, this was up at the end of the strip where the Pits were. Above, I loved this 3 window just bloody gorgeous in its Drab attire, killer machine for me right there. 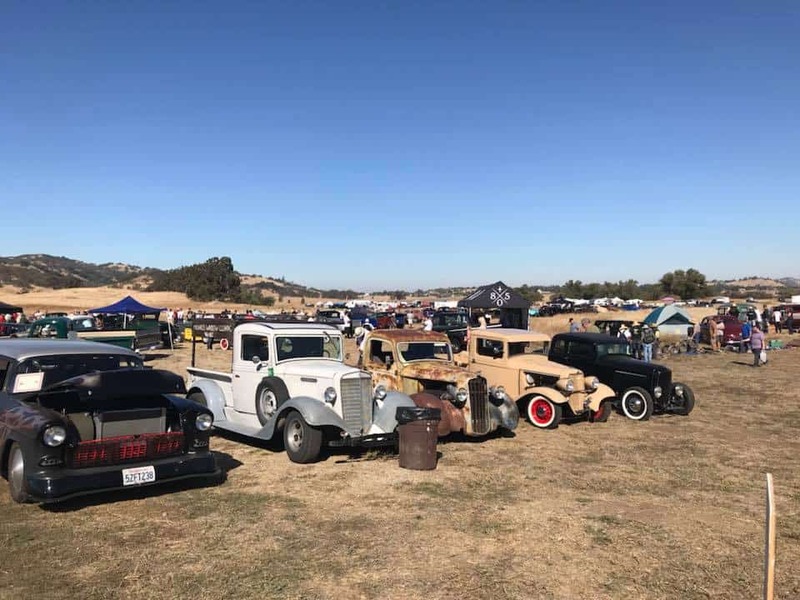 Above- How tough is that, what is not to like about it and so many great vehicles here and everybody was brilliant to talk to and had time for you. 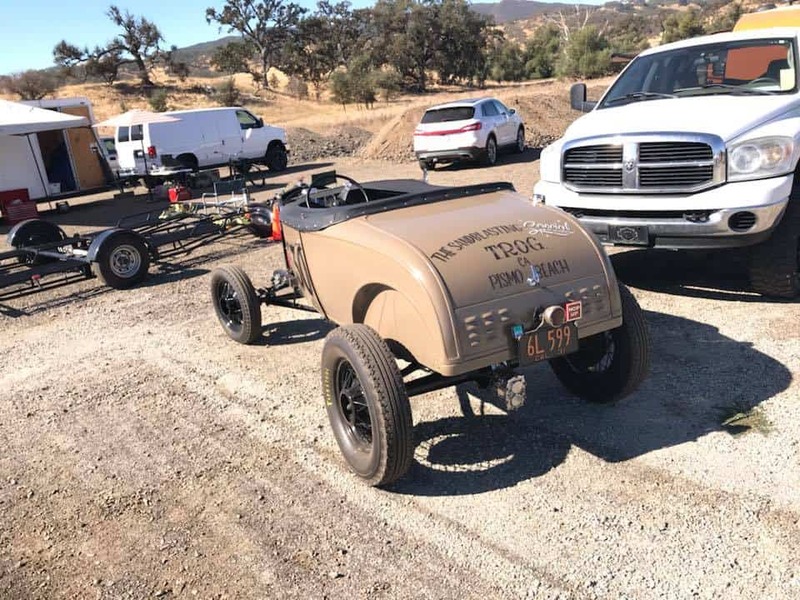 Flatty Powered 29 Roadster with Q/C and Zoomies, it was quick too. 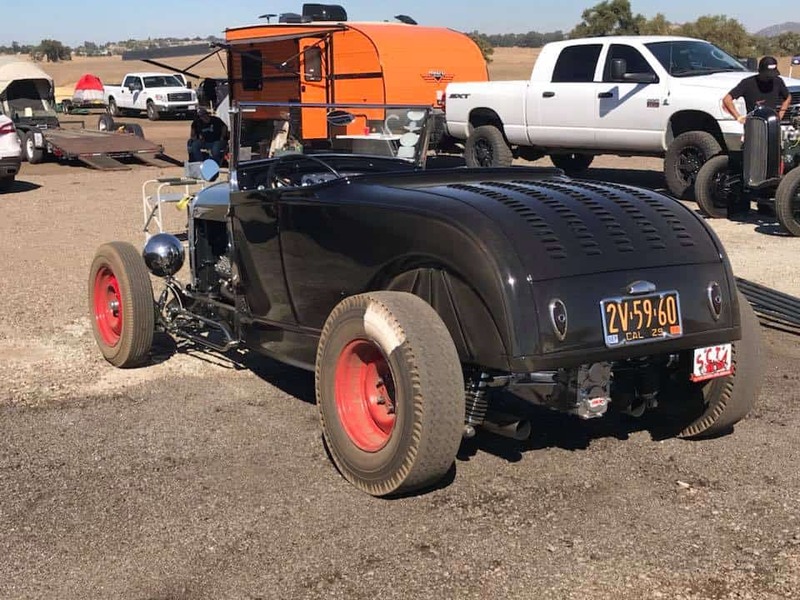 Simular to my 28 but a way cooler built version, high Boy with its 4 Banger and this was quick, the Bangers were faster than the flatheads, it was a solid built Hot Rod for sure. 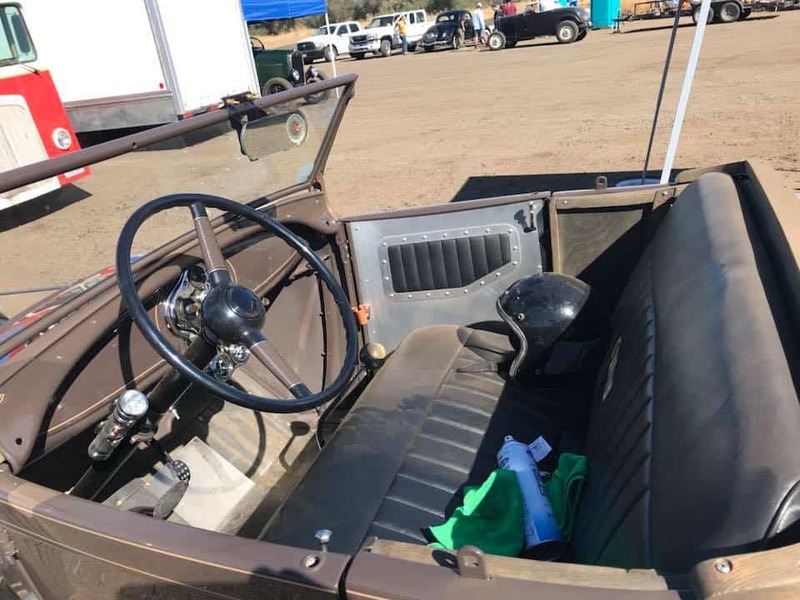 Everything was so cool on the A-Bone, loved the louvered panel, the Q/C and the Tonneau cover too . 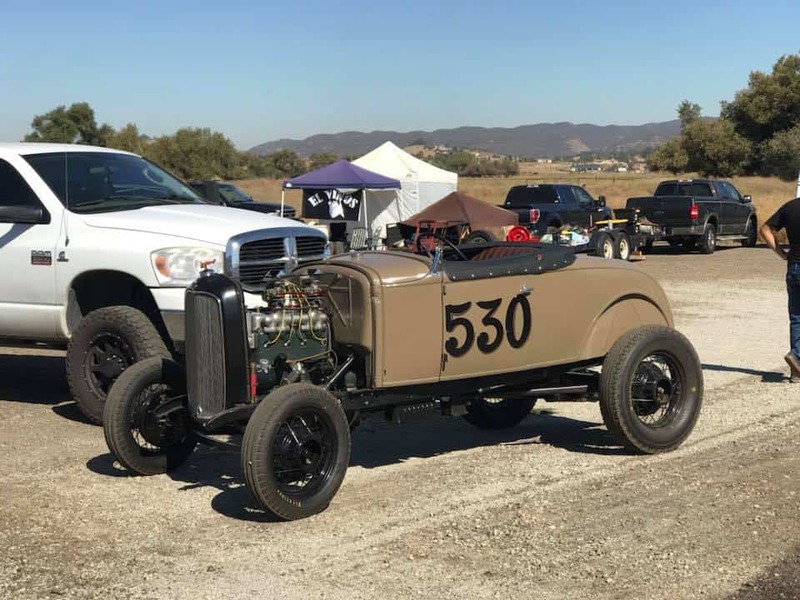 Our Mate Jay Dean from Nostalgia Ranch with his Flattie powered Modified, was a fun and period built machine.Hop Up Magazine Special. 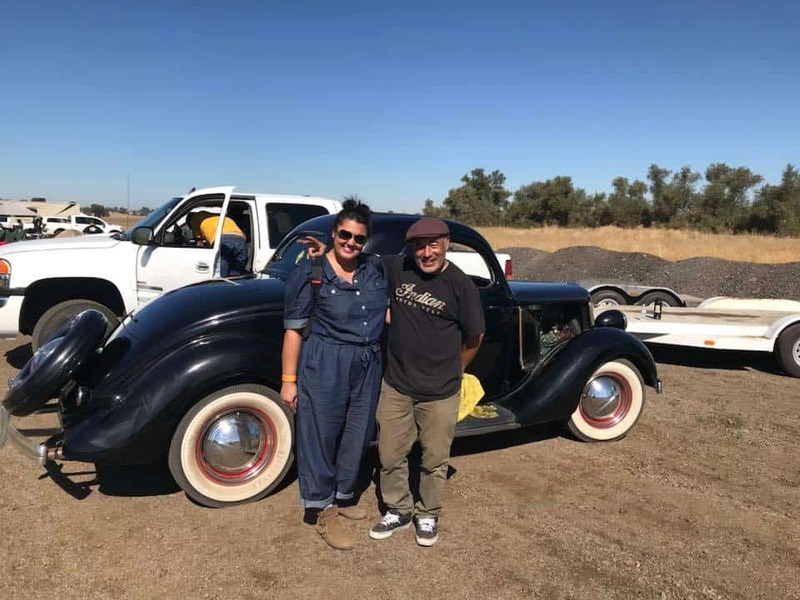 Jenn met up with Skateboard Pro, Steve Caballero, he has a passion for Hot Rods, Art as well as Skateboarding, super cool bloke. 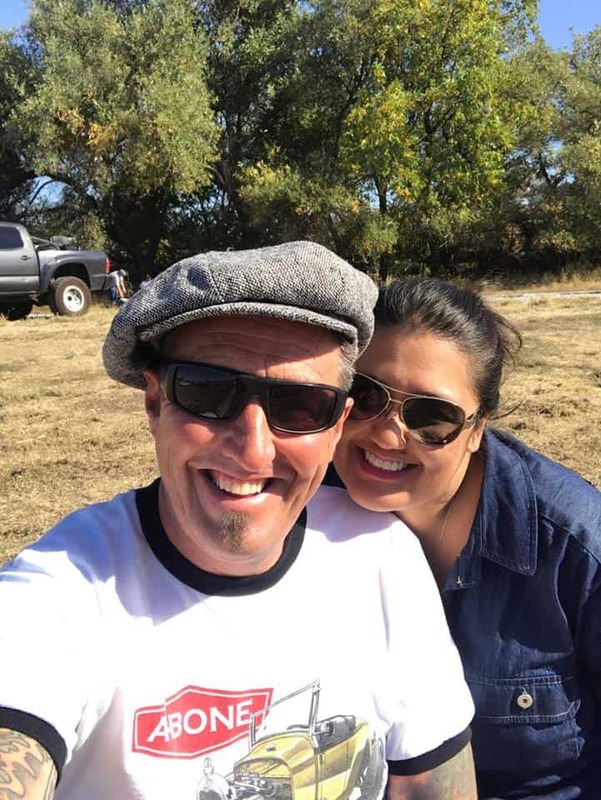 Below are the Videos that I took with my Iphone, what a blast it was to see. 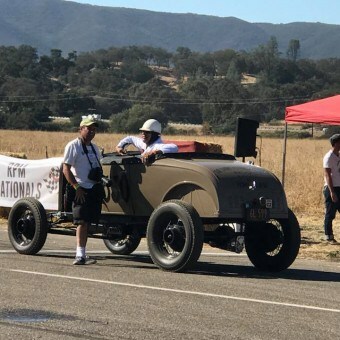 Below Diane Branch in her Roadster having a go and doing well. Loved it all and so many cool people to chat to as we are all into the same stuff, no attitudes just miles of Smiles. How can you not like all this and away from the main stream too. 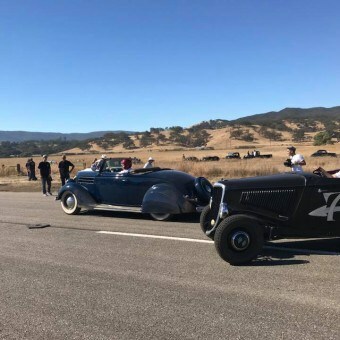 Loved these 2 Roadsters, The Guy tried to sneak his kid in the car too, I think we all wanted to see that, but still A FUN race none the less. 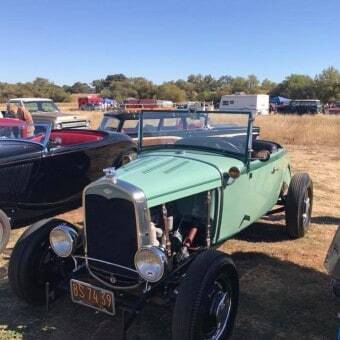 OOH- A tasty 5 window against a Roadster, just like back in the day. Diane Branch taking on a chopped and channeled Coupe on the strip. 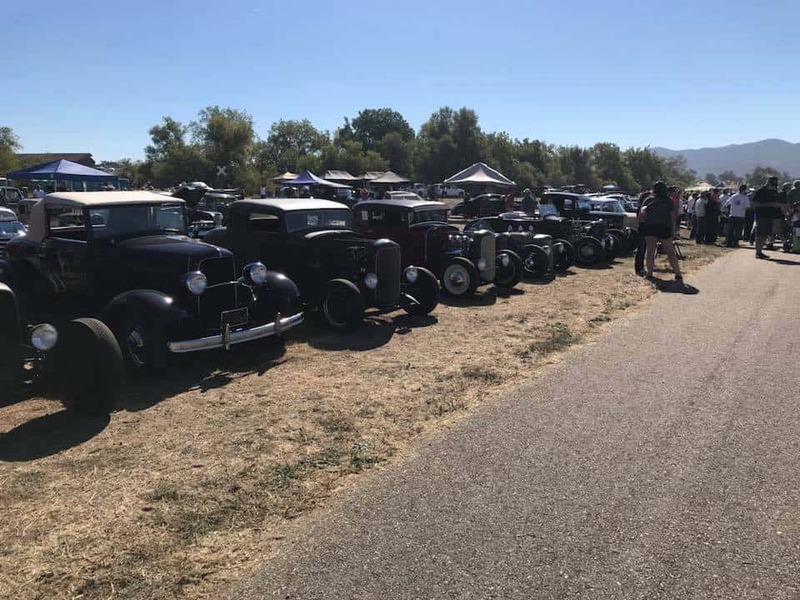 Model A’s a plenty, these were so fun to watch and no change since back in the day, sure wished I had mine here but next year we shall attempt to drive it there. 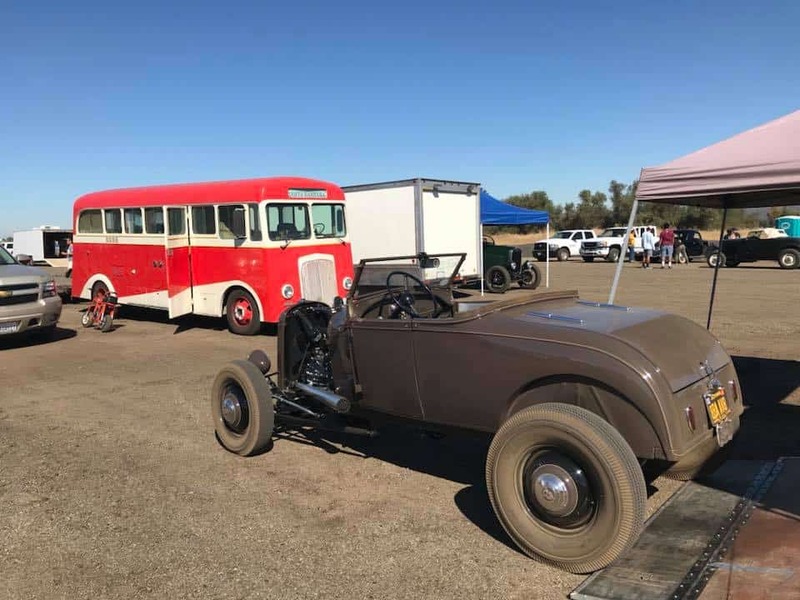 How about this, 2 Drop Belly Tank Racers, Both running V8-60 flatheads, I had one of these I love them but great to see 2 running and racing. 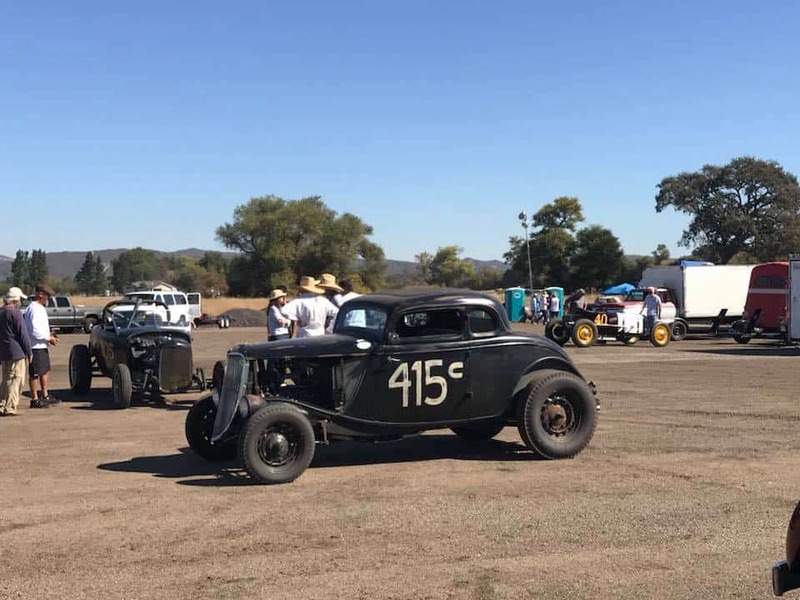 Loved watching this 34 Coupe and Flatty Powered Fully Fendered A Bone. 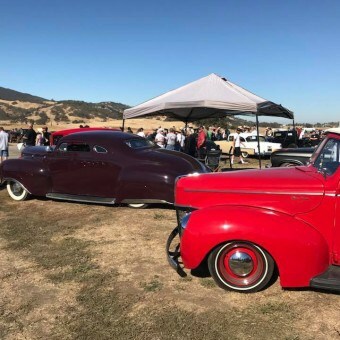 How about this, two Roadsters, One 4 Banger and One flathead, man such a great sight and sound, period looking rides too, awesome. 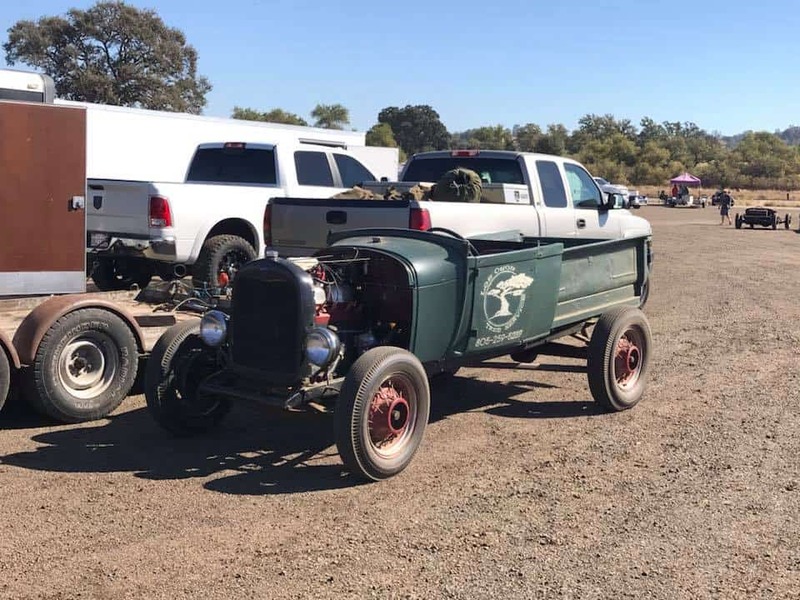 Our Buddy Jay Dean in his hop Up T Modified goes up against a Roadster, jay had a blast, what a Neat rig too. 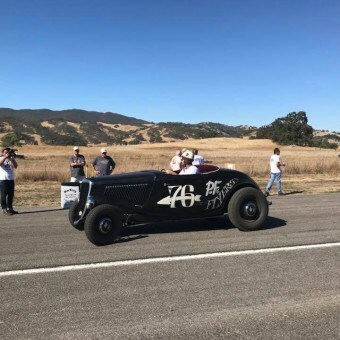 Chin in his Original Model T Roadster, running against an A Bone, Chin ran well all weekend right up to the semi’s, consistent Ride, loved this Hot Rod. 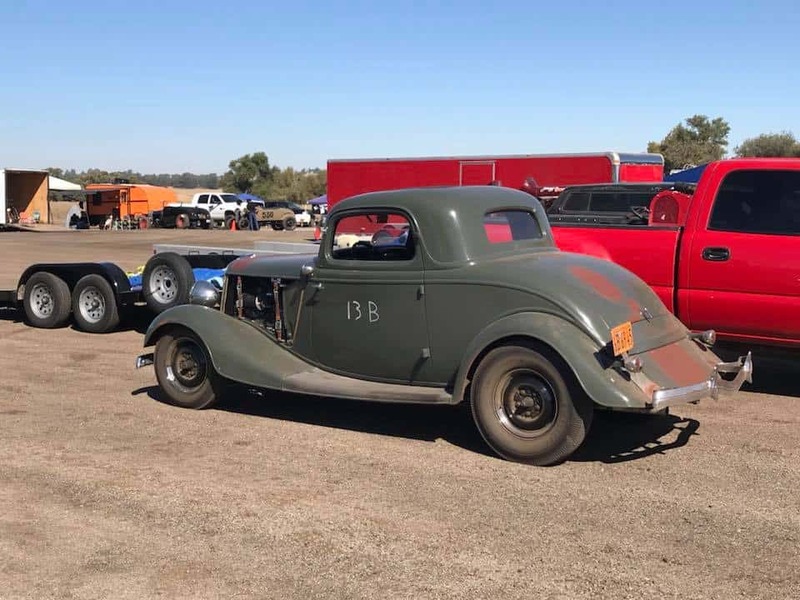 Wow- How about this 36 Coupe, what a sweet ride and glad to see a couple of these on the strip today. 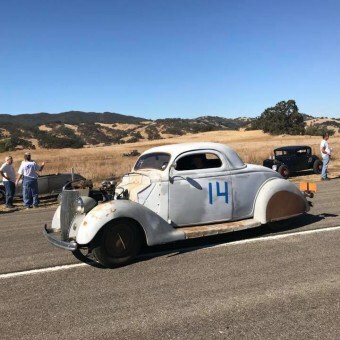 I shall Blog over the next few days as these take ages to load, but I thought you would get a kick out of this one today and I sure hope to see some of you next year as I loved this so much, all fun, No attitude and all period machines, very cool indeed. BRAAAAAP! 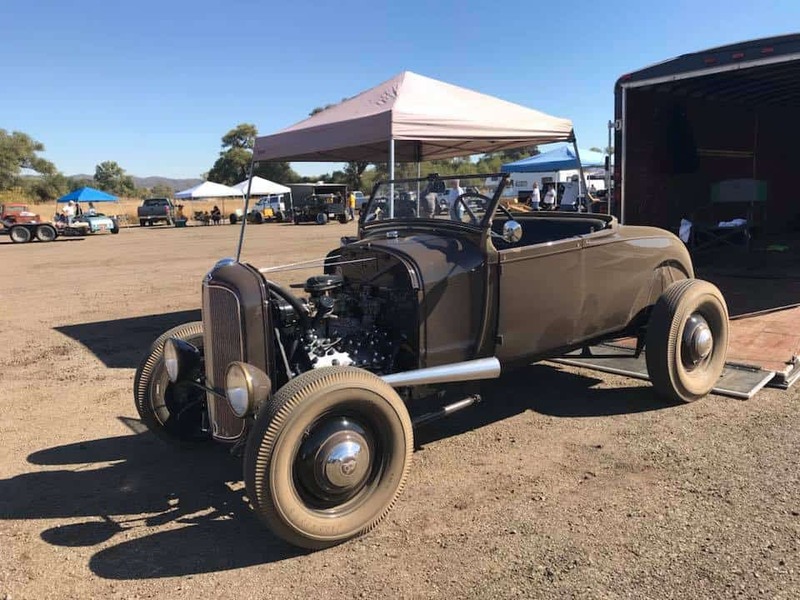 This entry was posted in Blog, General Info and tagged 1927, 1928, 1929, 1930, 1931, 1932, 1933, 1934, 1935, 1936, 21 stud, 24 stud, 4 Banger, Abone, BLC, california, carpys, Columbia 2 speed, Coupe Roadster, Cragar, Deuce, drag racing, Firestone, guide, High boy, hop up, hot rod, Iskendarian' SCOT, Jalopy, kelsey hayes, McCullough, model A, model B, Modified, moon, Potvin, quick change, Road trip, RPM nationals, Santa margarita ranch, sidevalve, steelies, Winfield.